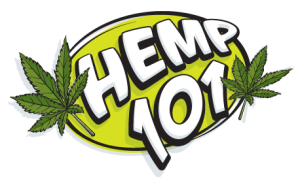 A farmer participating in Wisconsin’s hemp pilot program is growing and processing Hemp as Medicine. John Eichorst of Mount Horeb Hemp has had great success with his first hemp crop, despite it being a lot of work. His hemp crop is being used to produce CBD oil, a medicinal extract from the plant that aides several medical conditions such as seizures, anxiety, and chronic pain. It’s the first year that Wisconsin has grown hemp in decades. Due to its resemblance to its intoxicating cousin, hemp was lumped in with the ban on marijuana in 1937. However, with the 2014 Farm Bill, hemp has been making a comeback in the U.S., and Wisconsin recently got on board. Despite its superficial resemblance to marijuana, hemp has a much lower content of tetrahydrocannabinol (THC), the psychoactive compound that gives the high.